Leave it to us, your Key West destination wedding planners, to share a great list on why you should go for it if you’re considering a destination wedding. We came across this great story in the Huffington Post’s Huff Post Wedding blog by Destination Weddings & Honeymoons magazine. We love all the reasons listed here and would only add one. 11. 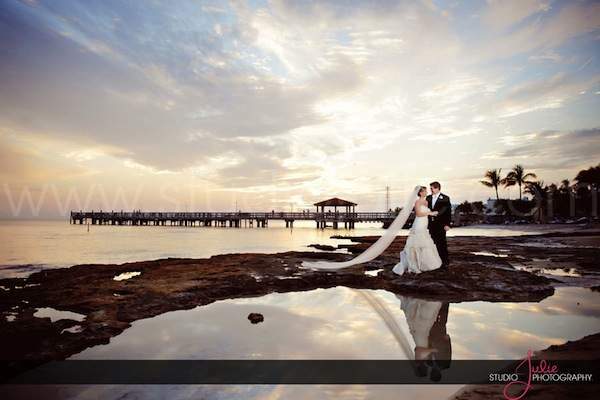 Destination wedding planners make destination weddings a breeze. We’re here to handle the details–both large and small–so you have the gorgeous, exotic wedding of your dreams. Here are a few other reasons to say “I do” in paradise. And in our case, that anywhere is Key West. With its natural beauty (stunning sunsets, crystal clear water, palm trees, pastel conch cottages) coupled with its happy-go-lucky offerings (Duval Street, delicious restaurants and catering, water sports) and a year round warm, sunny climate, a Key West wedding is hard to pass up. If it’s a taste of the Caribbean you want without the expense, hours of extra travel and hassle of leaving the country, then Key West is definitely the ideal location for your destination wedding. Less than 25% of American couples getting married every year opt for a destination wedding. We guarantee your guests will be thrilled when they receive an invitation with Key West as the destination for your wedding. This is where we come into play. We’re here to do the heavy lifting, putting you in touch with the right preferred vendors to achieve exactly what you’re looking for in your special day. The sky a million shades of pink, orange and purple changing before your very eyes and reflecting onto aquamarine water–money can’t buy a backdrop like that! A destination wedding is more than a wedding day, it usually involves an entire weekend of activities for loved ones to partake in in a leisurely manner in paradise. If it’s an intimate wedding you’re after, a destination wedding naturally limits the guest list for you. Maybe you used to come to Key West as a kid, maybe it was the first vacation you took as a couple, whatever the story, Key West has a way of sticking to the soul. If this is a place you love, then it’s a beautiful thing to share it with the ones you love most. Here’s a tip, accommodation prices dip dramatically in the summer and even spring months in Key West. If you’re working with at least a few days in paradise, you can piece your itinerary together and take advantage of savings, like a morning snorkel trip instead of an afternoon one. We can all relate to needing a vacation, so why not be the travel planner for your family and friends. Who wouldn’t love a vacation to Key West this year to celebrate with you? 10. Start the honeymoon early, baby! For many couples, the destination wedding and the honeymoon are one in the same. Whether you stick around in Key West for a few days after you tie the knot or jet off to another exotic locale, you’ll be in a Key West state of mind for days on end, and that’s a beautiful thing.